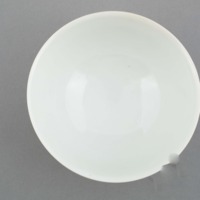 One circular glazed white ceramic bowl with a slightly flaring lip and a shallow narrow base. 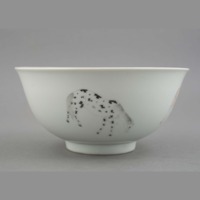 Bowl exterior is decorated with five horses detailed in black and red-brown. Underside of base of bowl exhibits mark of Daoguang Emperor (1820-1850). 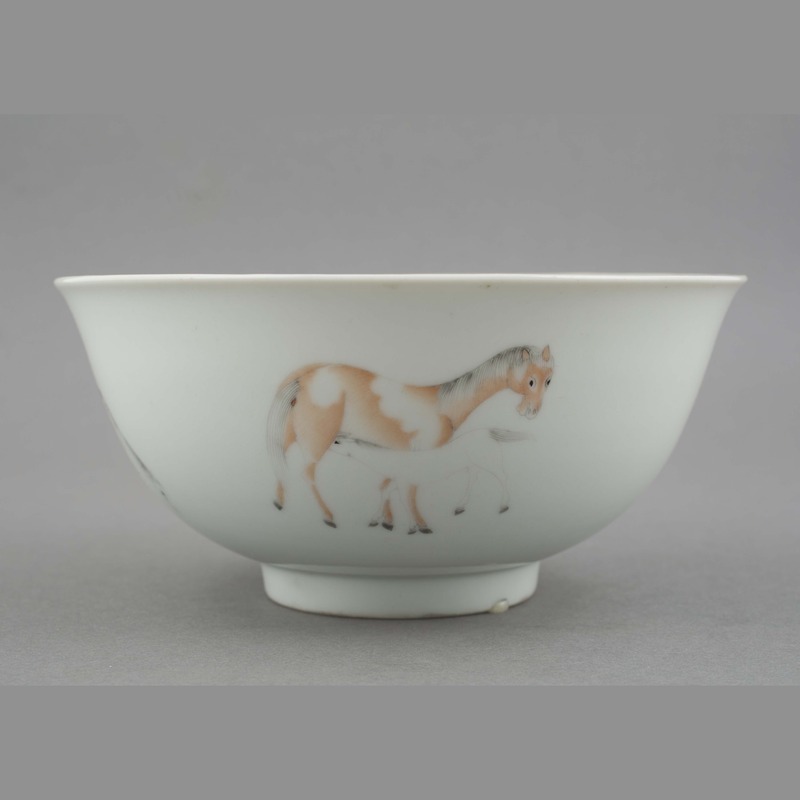 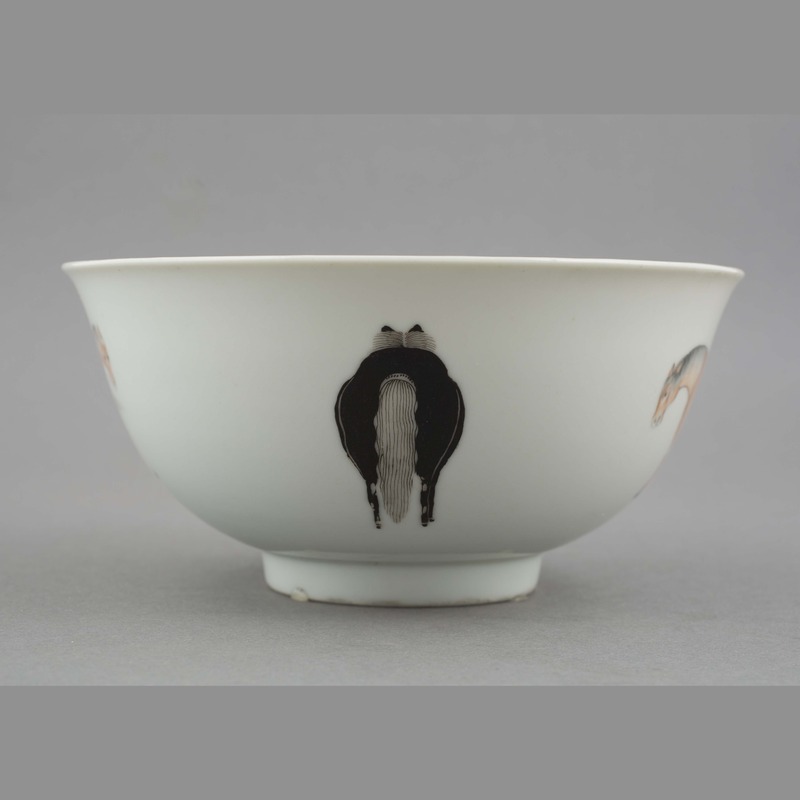 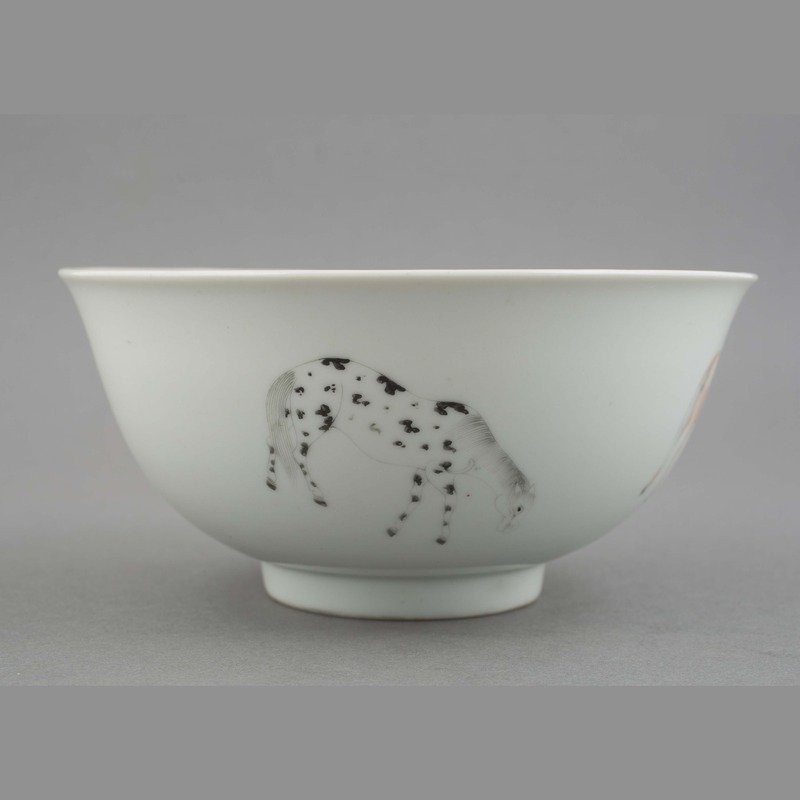 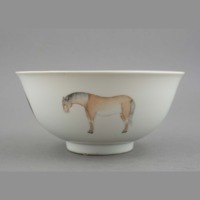 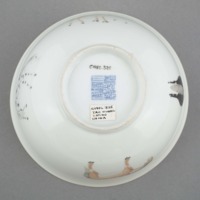 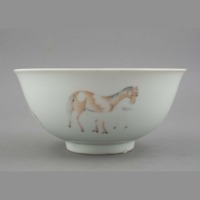 “Ceramic: bowl,” China, Art and Cultural Diplomacy, accessed April 22, 2019, http://rewialleyart.nz/items/show/1073.